Trust Probate Administration - Specific laws state how Property and money left in a trust or probate are to be handled and accounted for. What remains has to be inventoried and the bills and taxes have to be paid. There are also accounting requirements. The law looks out for the heirs of a Probate and the beneficiaries of a trust. A trust accounting is required by law whenever there is a change of trustees which typically occurs when the persons forming the trust (known as “settlors” or “trustors”) pass away. A probate accounting is required as part of the probate process for estates that are in the probate court. The form of ownership of money and property determines whether or not there needs to be a probate court proceeding. If the trustors have established a living trust and transferred their assets into the trust so that the trust owns the assets then no probate court to hear is required. 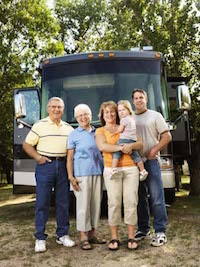 The law recognizes living trusts as a valid way to own assets money and property. Because the living trust documentation has instructions about how assets are to be handled and who is to benefit from the trust a probate court proceeding is usually not necessary. The living trusts also has instructions about who will be able to sign for the trust after the original trustors are gone. The persons who are pointed to sign for the trust are referred to as “successor trustees”. On the other hand, if there is no living trust then the probate court proceeding is necessary to give somebody authority to sign for transferring of the assets money and property. Banks and financial institutions will not allow anybody to sign on the accounts who is not an authorized signer. For example, a husband and wife have bank accounts but the only signers on those accounts are themselves. After they are gone, the banks will not honor any other signature unless someone has obtained probate court permission to sign for their estate. Thus, the initial work in probate administration is to file a court petition asking for the court to appoint somebody as the executor. That process takes 6 to 8 weeks usually and in the meantime the accounts are locked up and not accessible. ADMINISTRATION THROUGH PROBATE OR THROUGH A TRUST? Administration is the generic term for the work to gather up and inventory the assets, get various things appraised, pay debts and creditors, pay taxes owing, prepare an accounting of everything handled and then distribute out the assets to the persons who are entitled to receive them. Both probate administration and trust administration require careful and detailed work and record-keeping. The major difference is that in a probate administration there are various forms that have to be filed with the court along the way before the court will give permission to distribute the probate estate. For example, detailed inventory lists have to be filed, permissions or notices having to do with sale of property are required and an exact accounting according to the court rules is required. Trust administration is typically far easier than probate court administration because of not having to file court forms and not having to go to various court hearings to get permission from the court to do various things. Attorney/CPA David Crockett works personally with probate administrators and successor trustees to reach the final goal which is distribute the assets to the persons entitled to receive them. He has over 30 years experience in this field and because he is also a certified public accountant can often cut through tax and financial questions that otherwise slow other people down. Crockett law Corporation has an extensive library of forms and outlines for instructing people on administration. At various points along the way, it is necessary to have various forms signed and documents prepared to keep the administration on track. There can be penalties and legal consequences and the tax consequences for not doing it properly. In working with a typical administration client a custom detailed checklist is prepared which outlines the many detailed steps along the way that need to be done. Also Crockett law Corporation has various resources such as contacts with specialized appraisers, and other persons which can greatly speed up the administration process. Just because a living trust does not initially require probate court approval does not guarantee that the administration is out of the hands of the court. By law in California, the probate court does have jurisdiction to hear petitions/lawsuits complaining about the administration of the trust. For example, if the trustee fails to account within the legal timelines, the beneficiaries can file a court petition to have the trustee removed. Likewise, in the administration of a probate case, any errors or interested parties can file petitions/lawsuits with the probate court to have the administrator/executor removed for various grounds such as failure to account, unauthorized payment of assets and other matters. Because Crockett law Corporation does represent clients who are either suing or being sued over probate and trust matters, we try to advise people administering probates or trusts to do things correctly. Trust in probate litigation is time-consuming and expensive it can take 1 to 3 years to actually get a case to trial once the initial lawsuit papers are filed. Litigation can usually be avoided if the administration is done in a timely and organized way and if the heirs and beneficiaries are given the necessary information along the way so they know what is going on. Failure to provide information is the quickest way to provoke people into filing lawsuits and petitions. Probate Estate and trust administration require the filing of income tax returns at the appropriate times, and require consideration of property tax issues and estate tax issues. Since David L Crockett is both an attorney and certified public accountant, he can predict what taxes might be owing and advise how the taxes need to be reported and in some instances how taxes can be legally minimized. Real property transfers out of a probate or out of a trust can result in very expensive increases in the property taxes. This is because under proposition 13 the property taxes that one pays on a partial real estate are based upon what was paid for the property plus a small percentage increase each year. When there is a death, there is a change of ownership as far as the property tax law is concerned and the basic rule is that a change of ownership required a reassessment up to the date of death market value. Thus, if somebody bought a house for $75,000 in 1965 and then passes away in 2014 when the house is worth $750,000, the property taxes may increase tenfold. There are some exemptions from the property taxes going up provided that the right forms are filed within the appropriate deadlines and provided that the persons receiving the property have a specific relationship with the deceased person. Administration often involves having to sell real estate. 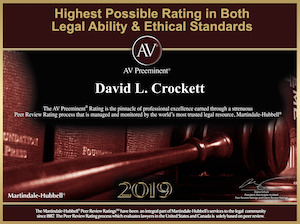 Again, because attorney David L. Crockett has been a real estate lawyer for over 30 years and also holds a California real estate broker’s license he has invaluable experience in the selling of property. He is familiar with all the forms commonly used for real estate sales and has access to the California Association of Realtors database of standard forms as well as access to multiple listing data and services. Administrators sometimes do not realize that they can actually negotiate for commissions and terms of sale and thus save the estate money.